I’ve been wanting to do some drawing for a while but the Christmas orders meant I had to wait. 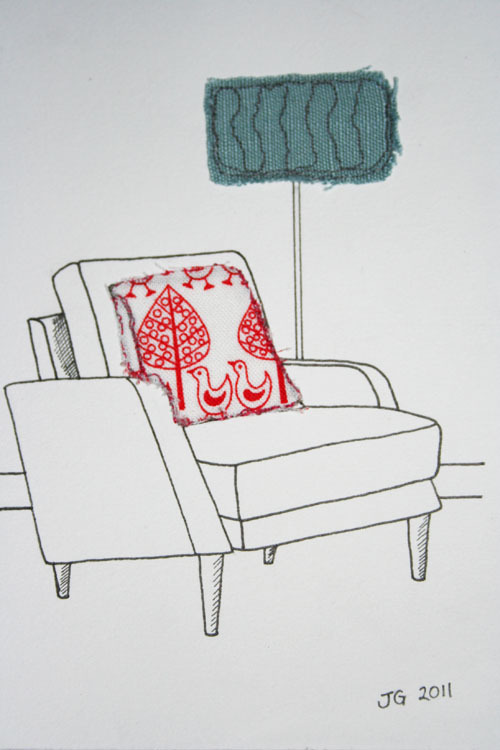 This is just the first attempt; a pen and ink drawing of a Scandinavian style armchair and lampshade. The cushion and lampshade are machine embroidered which was a bit tricky as you can’t sew too much in case the picture falls apart! Just about did it but more practice definitely needed.